Yep, you read that right! I’m so honored to have Descent nominated for Best Debut Novel. This evening I received a flood of congratulatory and encouraging emails/texts/messages, and it was the perfect way to discover the news. This writerly journey continues to be an adventure that rivals the tales I tell. The nominees were chosen by an academy membership of my peers, and on May 7th public voting begins. You’ll get a chance to vote for your favorite novels and authors. 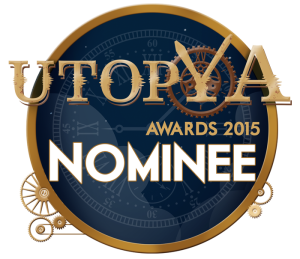 Check out all of the nominees on UtopYA’s website.